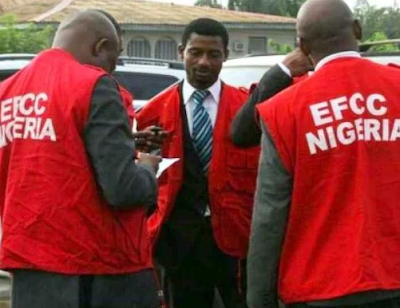 Economic and Financial Crimes Commission (EFCC) Acting Chairman, Ibrahim Magu, confirmed Saturday, that over N2.8 billion was recovered from suspected pension thieves in the Office of the Head of the Civil Service of the Federation and Police Pension Office. The cash component excludes many choice assets placed either under permanent or interim forfeiture by courts. Besides, he insisted that none of the assets seized by the EFCC was re-looted by the operatives of the commission under any guise. He insisted that former Chairman of the Pension Reform Task Team, Mr. Abdulrasheed Maina, remains wanted by the anti-graft agency. But he said Maina’s $2 million Abuja mansion and six others have been placed under interim forfeiture. Details of Maina’s alleged assets are contained in the document. Magu said there was no cause for alarm because all seized assets were well-documented. Magu said: “The suspects investigated in the Police Pension fraud from whom assets were seized, include: Atiku Kigo, Esai Dangabar, Ahmed Inuwa Wada, Veronica Oyegbula, Uzuoma Cyril Attang, Sani Habila Zira, John Yusuf and their associated companies and persons. “In the pension office of the Office of the Head of the Civil Service of the Federation, those from whom properties were recovered are Shaibu Teidi, Phina Chidi, Abdul Mohammed, Emmanuel Olanipekun, Aliyu Bello and their associated companies and persons. “The assets seized from these suspects are in two categories. There are assets that are under interim forfeiture which means that they are temporally seized pending the determination of the substantive cases in court. “Such assets cannot be dissipated because the cases are pending in court. The reality is, most of the assets recovered from pension fraud suspects belong in this category. “The cash element of the recoveries is also carefully documented. The total funds recovered stand at N2,886,743,016.71; $3,017,556.73; and €3,385.40. On the properties confiscated from suspected pension thieves, Magu said they are being managed in a transparent arrangement put in place by the Assets Forfeiture Department of the Commission. He added: “All but one of the assets recovered from suspects in the pension office of the Office of the Head of the Civil Service of the Federation is under interim forfeiture. “The exception is Brifina Hotel, which was recovered from Shaibu Teidi. He denied ownership of the property and the court ordered its final forfeiture to the Federal Government. The property has since been handed over to government and is now being used as office by some agencies of government including the Pension Transitional Arrangement Directorate (PTAD). “It is only assets recovered from John Yusuf, who was convicted under a plea bargain arrangement for fraud in the Police Pension office that have been permanently forfeited to the Federal Government. These assets are 32 units in number. “The assets, both those under interim forfeiture and the few under final forfeiture, are being managed in a transparent arrangement put in place by the Assets Forfeiture Department of the Commission. Etudo & Co. Estate Surveyors & Valuers, a reputable estate management firm, was engaged to manage the assets, with the exception of assets recovered from Essai Dangabar, which are being managed by Court Registrar based on Court Order. Magu said the assets recently seized from Maina were not yet captured in the Interim/Final forfeiture analysis by the anti-graft agency. He also gave the details of investigation on Maina and what EFCC detectives uncovered. He insisted that there is still a subsisting warrant of arrest against Maina. He said: “Recoveries not captured in the interim/final forfeiture analysis, include those that were recently recovered from Maina in Abuja and Kaduna. “They include seven properties in Kaduna. The properties are a two- storey commercial building located on Ibrahim Taiwo Road, a bungalow located on Katuru Road, and four separate properties located on Kano Road in Kawo New Extension, Kaduna. The other property which is still under construction is a set of four one-storey block of flats located at No. 5, Sokoto Road adjacent to the Zamfara State Governor’s Lodge, Kaduna. Other properties linked to Maina include No. 12, 11th Road, Kado Estate, Abuja; No. A5 Omenai H.O (B Close) Kado Estate; No. 9, Eneli TCM Close, (A Close) Kado Estate; No. 8, Kolo S Close (A Close) Kado Estate; Luxury apartments (eight blocks of flats; six units of three bedrooms; two units of two bedrooms) located at Plot 965, Cadastral C2, Life Camp, Abuja and a sprawling edifice located at No. 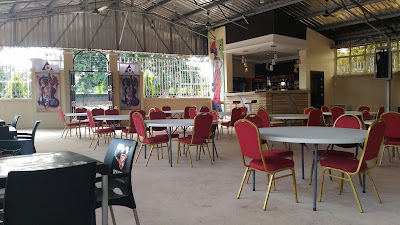 10 Hamisu Musa Road, Jabi, Abuja. “Maina had a total inflow of over N2.7 billion between 2010 and 2013, with 95 per cent of the deposits being in cash. It was discovered that Faizal Abdullahi’s Account (his son), had a turnover of over N1.5 billion in less than a year. “It should also be noted that Maina operated these accounts through telephone and email messages. Most of the funds were converted to foreign currencies through Bureau De Change and delivered to Maina in cash. Magu expressed regrets that the public was misinformed by some lawmakers and some unnamed agents of Maina on the status of assets recovered from suspects in pension fraud cases investigated by the EFCC. “The EFCC views with grave concern, the manner in which the allegation, made by unnamed person(s) in close-door session before the committee, was publicly orchestrated at the Senate plenary without the commission having the opportunity to respond. The omission has tragically led to misinformation regarding the status of recovered pension assets. This is unwarranted. “It should be stated that there had been no controversy regarding the status of assets recovered from suspects in pension fraud cases investigated by the commission. “These assets are well documented, and their current status has been communicated to the relevant organs of government. “Had the Senate exercised restraint and sought information on the status of the assets, it would certainly have been obliged, and the nation spared the ordeal of the abominable frenzy over pension assets that were supposedly “shared” by unnamed “officials of the EFCC”. “The purveyors of the salacious tale should have gone the whole hog to name the “ghost” officials that engaged in this “sharing” of pension booty, and the place and time the “sharing” took place. “They also did not list the properties that were supposedly recovered by Adbulrasheed Maina and handed over to the EFCC. They equally failed to indicate when the properties were handed over to the EFCC by Maina. “The EFCC has no record of any collaboration between it and the Maina–led Pension Reform Task Team in the investigation of pension fraud. 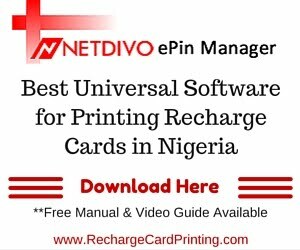 “The only link between the EFCC and Maina was the participation of a few staff of the Commission in biometric verification exercise by the Maina Task Team. The leader of the EFCC team at the time was Col. I.D. Sule (retd. ), a contract staff who was head of the Commission’s Servicom Unit. “The verification exercise was not a criminal investigation and no asset was recovered in the process. “It follows that if the EFCC did not receive any assets from Maina, its officials could not have shared what never existed? Again, those who claim that there was “sharing” of assets are at liberty to state which assets were “shared”, when the “sharing” took place, who supervised the “sharing”, and who got what. “As far as the Commission is concerned, all the assets recovered from pension fraud suspects, currently at the disposal of the EFCC, are products of its independent investigation.